Kerala has in store a lot of unknown and unexplored destinations. Some of them are popular amongst offbeat travellers and a very few of them are lying undiscovered. How about taking up an expedition of exploring such undiscovered destinations and bringing them to the limelight they deserve? If you would love to do so, then it is advisable to plan a tour of Peruvanam Mahadeva Temple, which is believed to be one of the oldest temples in the country. This is one place where you can learn a little bit about the history of Kerala. So, let's move on and read about this age-old beauty that awaits the attention of tourists and travellers. The region in and around Thrissur experiences a hot climate during the summers, and therefore it is not a preferred destination amongst tourists during the summer season. The best time to visit the temple and explore its age-old beauty is from September until the end of February. You can also visit it during the festive season of Shivratri when thousands of Hindu devotees flock the temple to worship their lord. Located in the Thrissur district of Kerala, Peruvanam Mahadeva Temple is one of the oldest-known temples in the country. 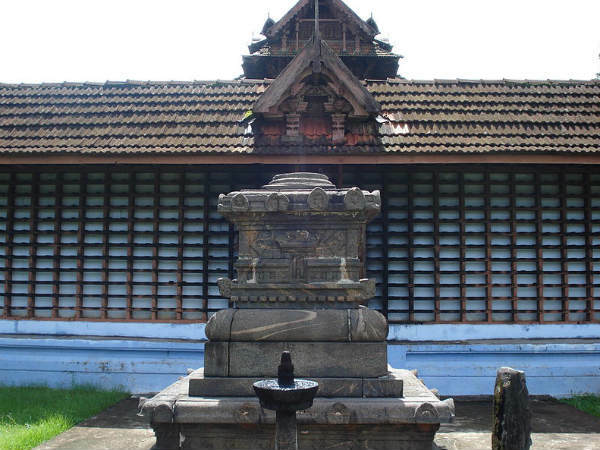 As per local legends, the temple is said to have been established by Lord Parashurama when he created the entire Kerala. Therefore, it wouldn't be wrong if we say that the age of Peruvanam Mahadeva Temple is equal to that of the state. However, the current building of the temple is believed to have been constructed in the 12th century. As the temple is dedicated to Lord Shiva, the Supreme Being, it is considered as a significant pilgrimage site amongst Shaivites. It is visited by thousands of Hindu devotees, history lovers and seasonal tourists. The temple is spread over an area of about 7 acres and is also known for its beautiful architecture. If you love travelling offbeat, then undoubtedly, Peruvanam Mahadeva Temple is your destination. As the temple boasts of its religious as well as historical significance, it is a must-visit destination for history lovers. Wouldn't you love to turn back the pages of history and learn in detail about the evolution of temples in Kerala? If yes, then add this age-old marvel to your bucket list. By Air: The nearest airport to Thrissur is located in Kochi at a distance of about 55 km. Once you have reached the airport, you can hire a direct taxi or use public transport to reach Thrissur. It will take you an approximate time of 1 h 30 min to reach your destination from the airport. By Rail: Thrissur is well connected to all other cities and towns by rail. Therefore, you can hire a direct train to Thrissur and then from there, you can take a cab to reach the temple. By Road: Thrissur has a good road connectivity, and hence it is easily approachable by road. You can either take a direct bus or hire a taxi to reach the temple. Most Read: Ever Been To These Divine Temples In Kerala?